Kindred Combination RH UM 18 Ga sink - 18-3/4" X 32-7/8" X 9/8"
Premium grade 18 gauge stainless steel, oversized combination bowl sink, featuring small bowl right hand position, rear drains for more storage below the cabinet, easy care silk rim and bowls, and waste assemblies included. Bowl bottoms are creased and bowl is sloped to center of wasteshole to ensure efficient draining. 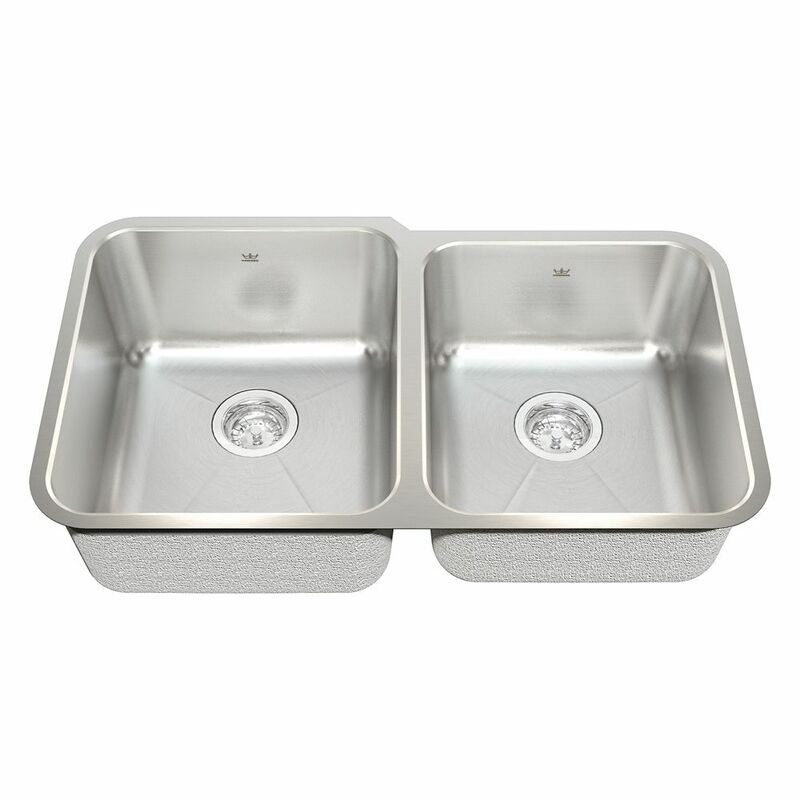 Combination RH UM 18 Ga sink - 18-3/4" X 32-7/8" X 9/8" Premium grade 18 gauge stainless steel, oversized combination bowl sink, featuring small bowl right hand position, rear drains for more storage below the cabinet, easy care silk rim and bowls, and waste assemblies included. Bowl bottoms are creased and bowl is sloped to center of wasteshole to ensure efficient draining.